Pretty 14th Century property. Tranquil. Spacious gardens, garage and parking. Deauville and Honfleur only 25 minutes. Convenient for ferry ports & airport. 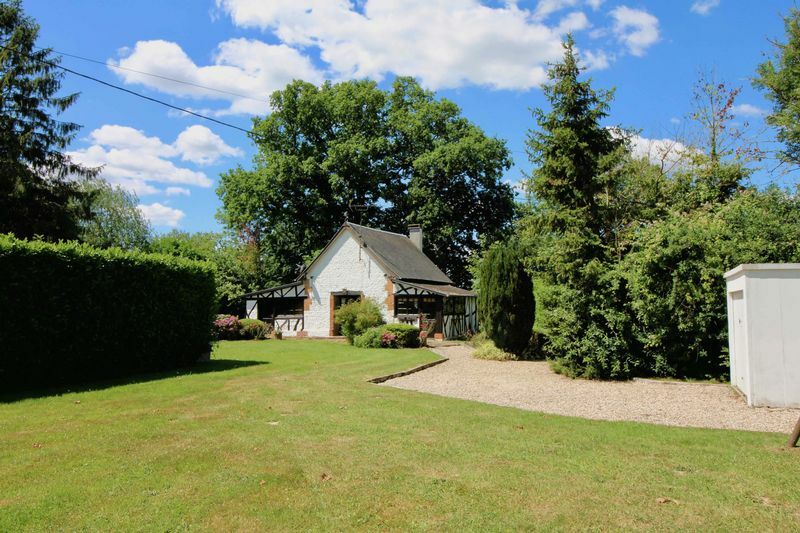 PRICE REDUCED: In the heart of prime Pays d'Auge countryside and within 25 minutes of the iconic coastal resorts of Honfleur and Deauville. This is a very desirable location. 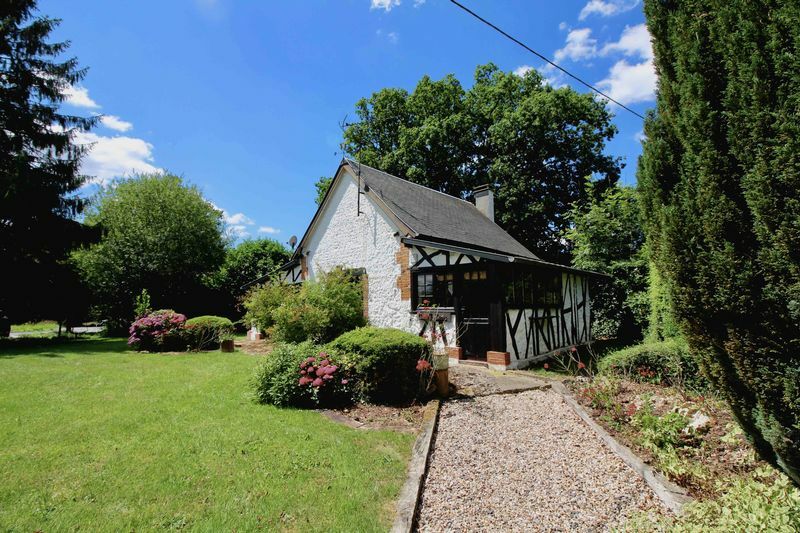 Chapelle St Louis is spacious enough to provide comfort and flexibility and yet still be easily maintained as a holiday home with excellent letting potential. With its origins as far back as the 14th century, it is an integral part of a classic and timeless landscape. Charming, calm and unique with scope for further development. 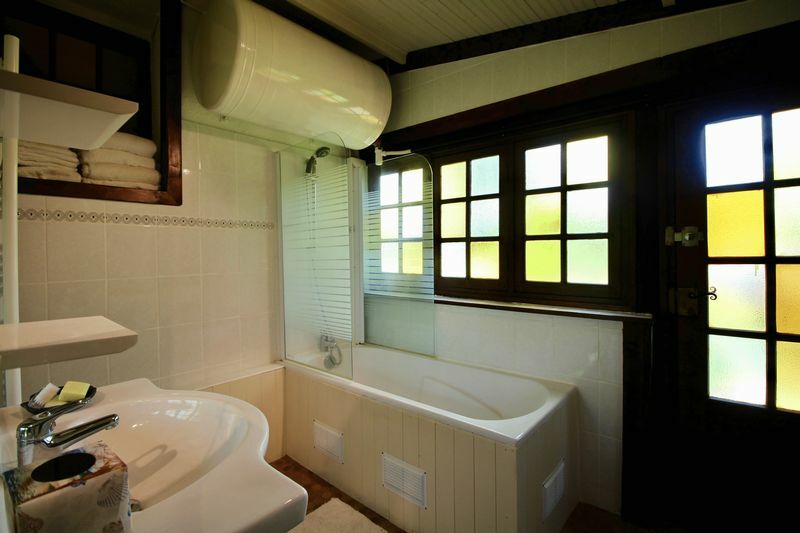 The property offers two bedrooms, large lounge/diner, galley kitchen, bathroom/toilet with utility area. Arranged on two levels with an open wooden staircase providing access to the quirky mezzanine with gallery. 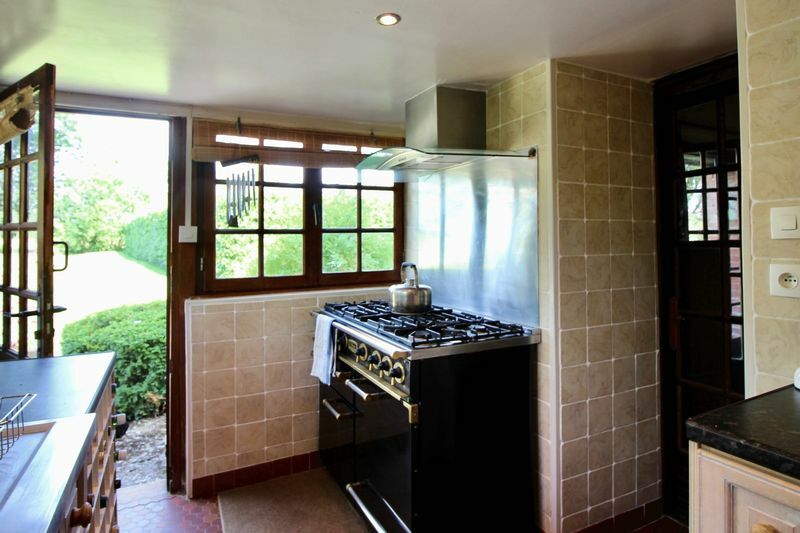 The lounge/diner is at the heart of the property providing ready access to the patio and garden via the French doors. There is plenty of parking space available. 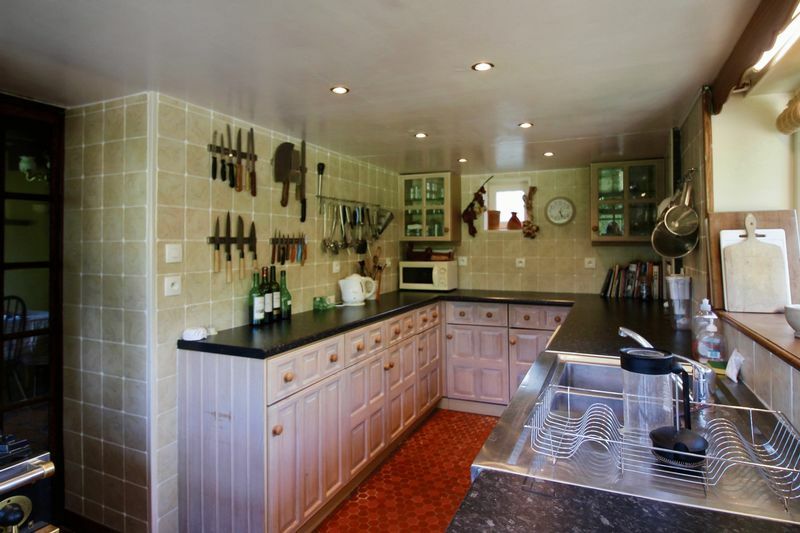 The property sits pleasantly within a manageable, peaceful garden and is accessed from a quiet country lane. The garden benefits from wider views across the surrounding countryside. There is a feature cherry tree, other smaller fruit trees and an ancient pond. Subject to any necessary planning consents there is plenty of scope for a swimming pool. There is a large garage with an up and over door. Currently used as a workshop but suitable for a car. Additional space is available for an additional workshop and wood storage area. Electricity is available. Bonneville La Louvet is located within the Pays d'Auge which is famous for its beautiful soft countryside with gentle valleys and streams. 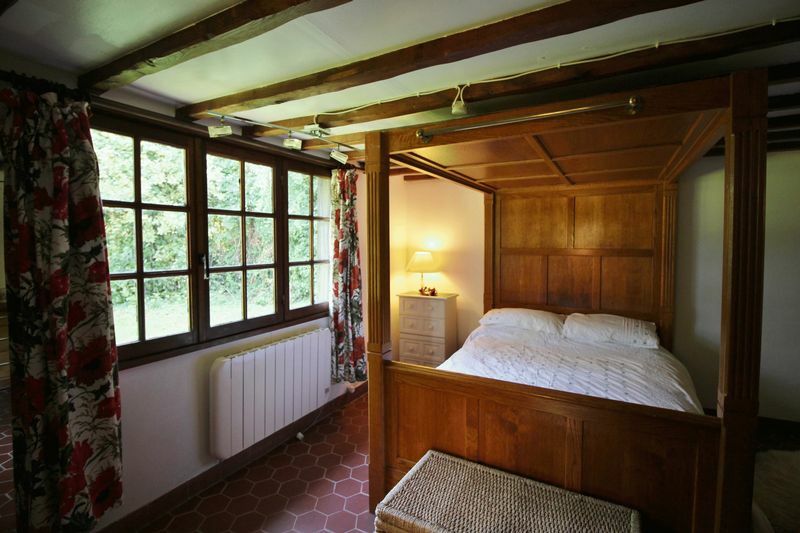 A favourite with the French for holidays and second homes. The region is famous for cheese, cider and Calvados. A region offering a rich heritage of timber framed manors, chateau and quirky coastal pavilions. The best of both worlds with many beautiful villages but less than 30 minutes to some of the best beaches in France. Famous towns to visit like Deauville, Trouville and Honfleur. Cormeilles offers a vibrant market and a full range of shops for all requirements. A rich and vibrant holiday season with many events. Access to the landing beaches, Bayeaux Tapestry, Mont St Michel and Monet's gardens all within 1 - 2 hours. Paris about 2 hours by car with trains available from Lisieux and Bernay. Deauville (St Gatian) airport is within 20 minutes serviced by London Stansted. Ferries to Le Havre (30 mins), Caen (50 mins), Dieppe (90 mins) and Calais (3 hours). Tiled floor with door giving access to a patio terrace and garden beyond. Further access to the lounge /diner. Falcon Professional 5 ring gas range cooker with two ovens, fitted kitchen with built in fridge, washing machine and dishwasher. Tiled floor and walls. View of the garden. 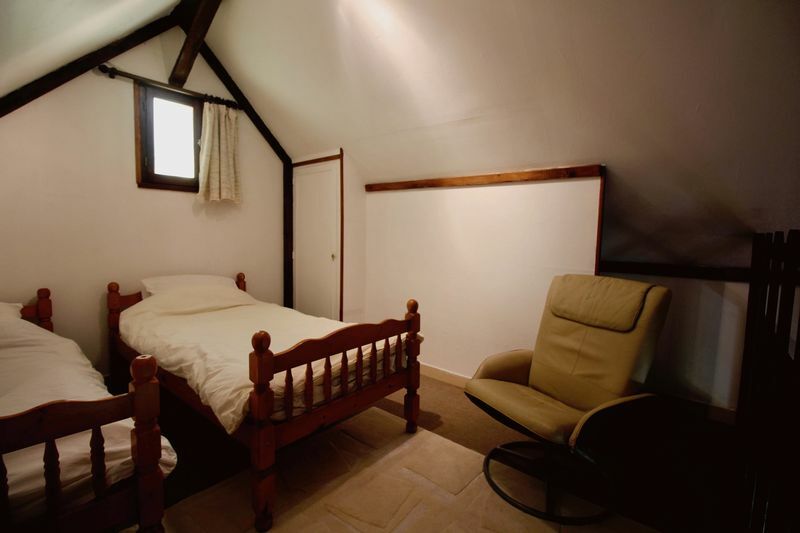 A spacious room that is at the heart of the property. Doors leading to the kitchen, master bedroom and bathroom with toilet. 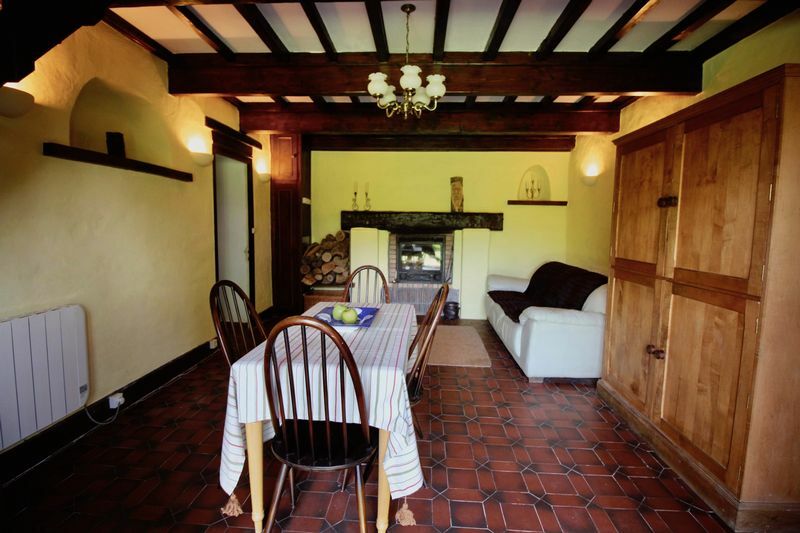 Character and charm with beams and ancient inset stone recesses. 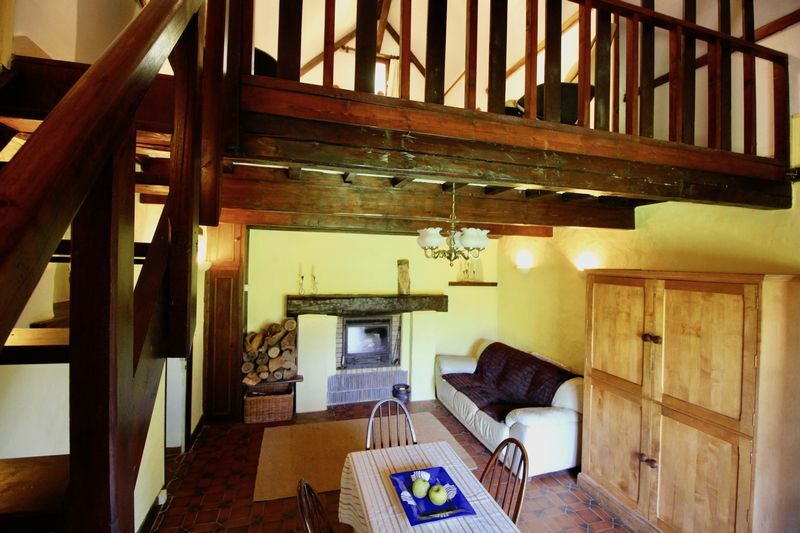 Large wooden mantle above the wood burning stove, tiled floor, right angle open tread wooden staircase to mezzanine floor with gallery, French doors giving access to the garden. Electric radiators. 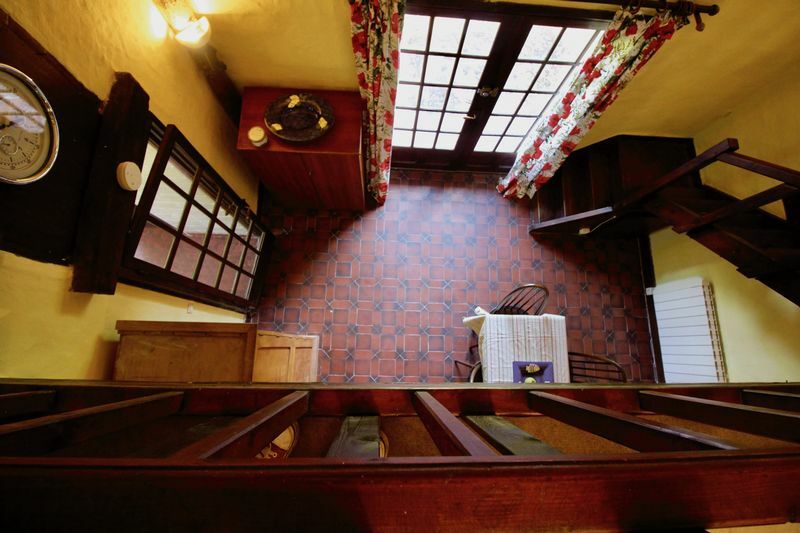 Tiled tomette floor, beamed ceiling, built in desk with drawers, access to toilet/bathroom/utility room. View of the garden. Bath with shower, sink with vanity unit and mirror and toilet. Utility area with washing machine and separate dryer, Glazed cupboard. 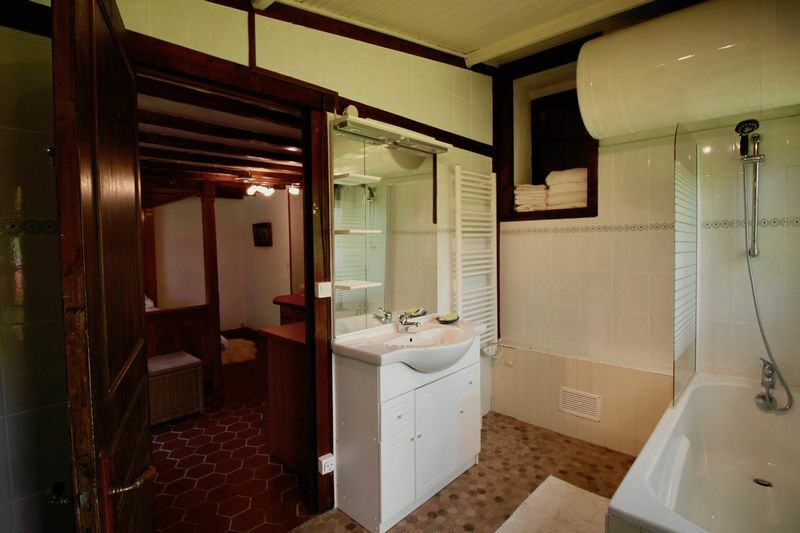 Tiled floor and heated towel rail. Door providing access to the front patio and garden. (Some limited headroom). Accessed from a wooden staircase that leads from the lounge/diner below. 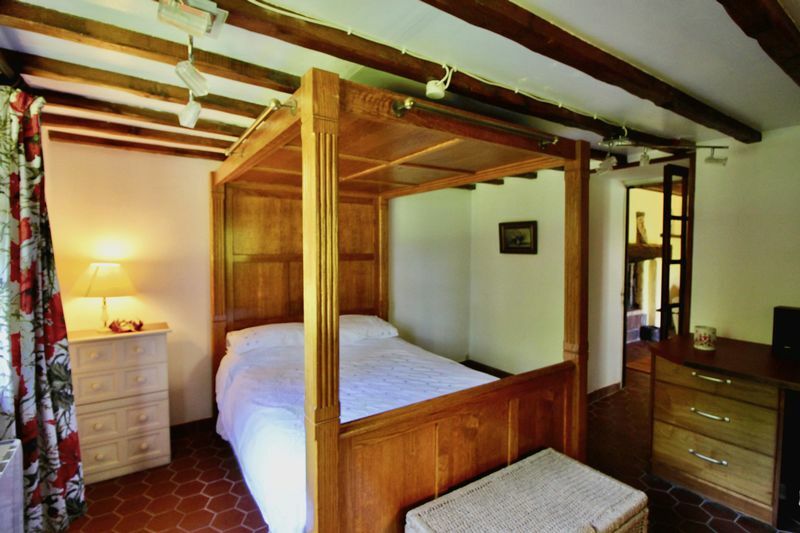 Comfortably furnished with two single beds and two easy chairs. Fitted carpet. Cupboard/wardrobe. Gallery overlooking the lounge/diner and a quirky feel with the sloping ceilings. The property benefits from a large garden (overall approx. 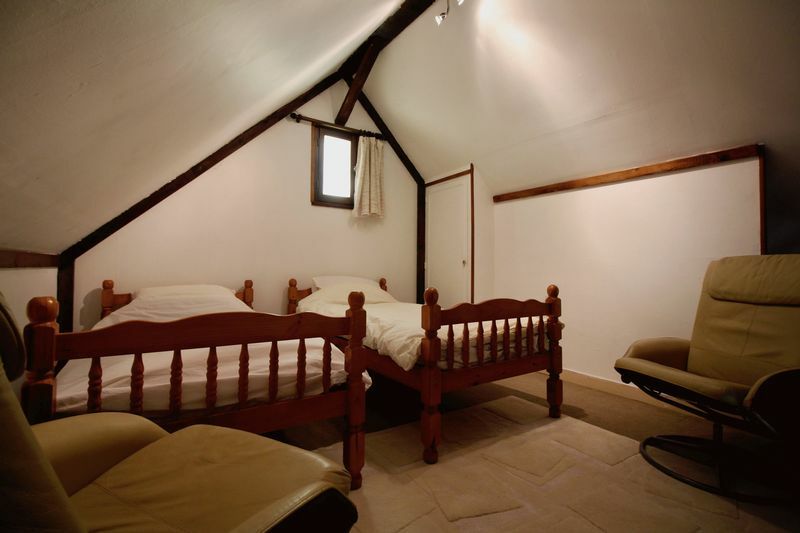 1672m²). 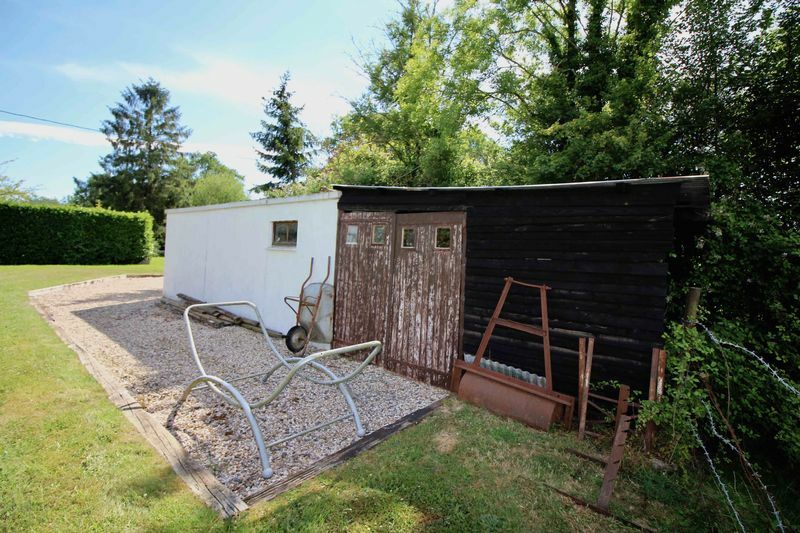 Within this stands the garage with an up and over door as well as a side door which leads into an enclosed, attached wood storage and cutting area. The garage is large enough to park a car in, or to be used as a workshop. 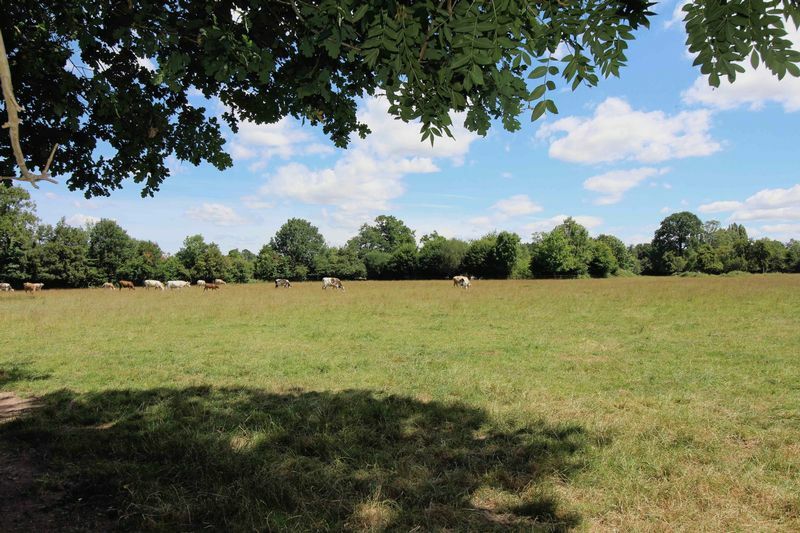 The grounds consist of approximately 1672m2 in an ‘L’ shape and are completely enclosed with fencing and hedges. Double wooden gates providing access to the country lane. The gardens are largely laid to lawn with attractive borders, shrubs, mature trees and fruit trees. There is an ancient pond. Some landscaping with a gravel driveway. 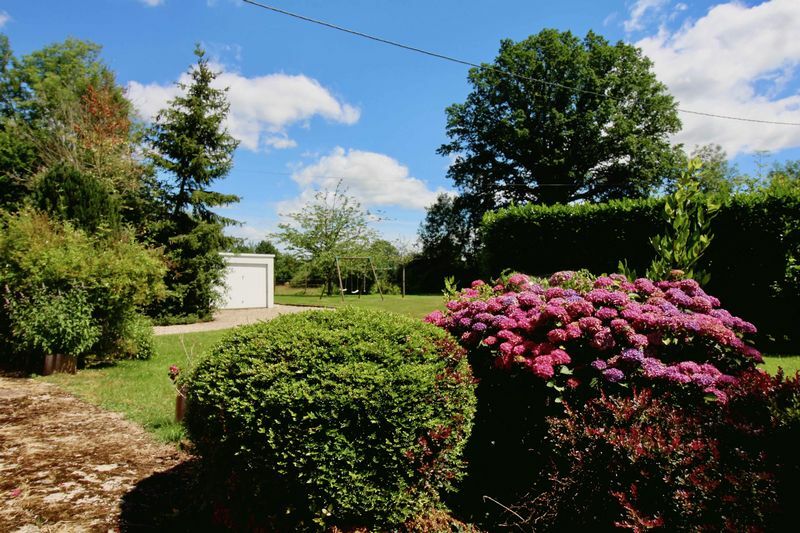 The garden is tranquil and private with excellent views of the surrounding countryside. Inset wood burning stove and electric radiators throughout. 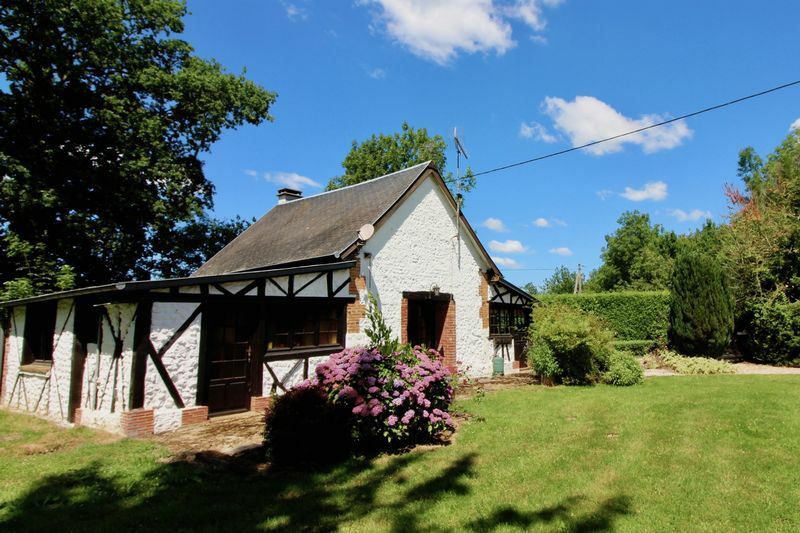 Approx 2km/5 minutes drive to Cormeilles with all facilities including Doctors' Surgery, weekly market and supermarket.